Nick Antonelli is honored for his outstanding achievements in boxing. Nick’s amateur boxing career began in I923 at age 16. On July 26, 1926, he became the world’s record holder for the fastest knockout ever scored – 5 seconds into the first round – a feat included in Ripley’s Believe It or Not and the Everlast Boxing Record Book. As an amateur, Nick won 111 of his 121 bouts, 90 by knockout. His 10 losses were all by decision. His pro career was equally impressive. Billed as the “sensational knock out artist,” Nick won 144 of his 150 fights and lost 6 by decision. 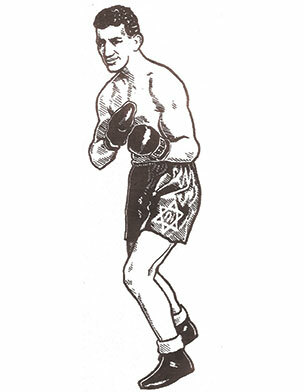 In 1943, while serving as a Navy Sea Bee in the Pacific, he coached the 128th Battalion Boxing Team. Although Nick spent his professional career in the building industry, he has devoted many hours of his leisure time to coaching young boxers at the DC/JCC and the Wheaton Boys Club.